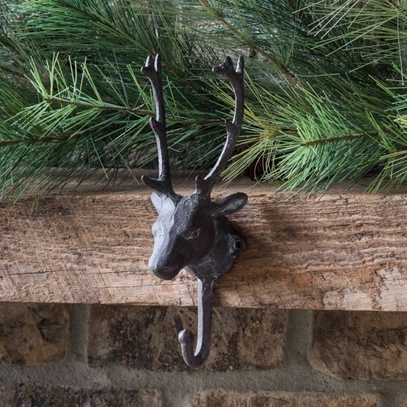 This regal looking deer is ready to hold anything from coats or hats to garland or stockings. Made of cast iron with a distressed look of age. 3 ��w x 9 ��h.